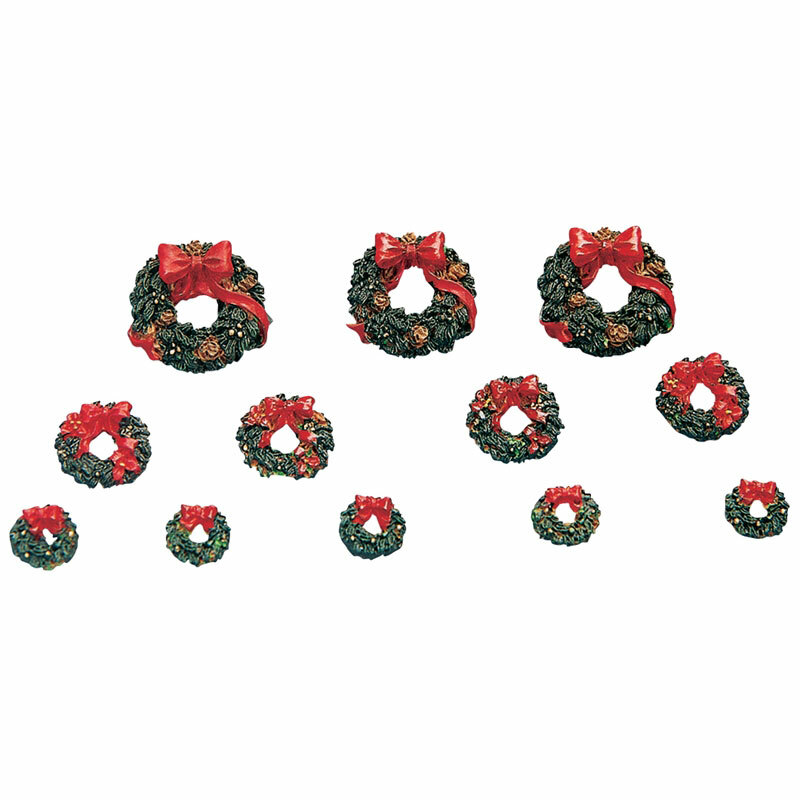 Lemax Wreaths With Red Bow Accessory (Set of 12) depict traditional door hung wreaths decorated with red bows for seasonal displays. Suitable for individual hanging or fixing to front doors on Lemax Village buildings, adding a Christmas seasonal theme to Lemax houses in a model village or town setting. A Lemax Santas Wonderland Village miniature accessory set which joined the Lemax miniatures collection in 2003. Wreaths with Red Bow are twelve individual hand painted miniature decorative pieces to compliment your seasonal Lemax Village display.